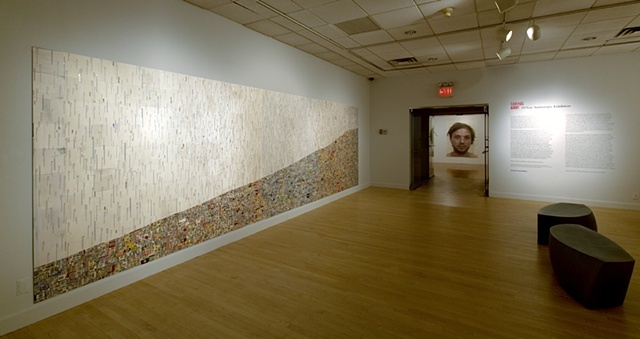 A large-scale collage commissioned by the Bronx Museum of Art to commemorate the 30th anniversary of its ARTIST-IN-THE-MARKETPLACE (AIM) program. Based on a bar graph of US GDP from 1980-2010, this work blends cultural history and economic data into a timeline that provides an unfamiliar perspective on the last thirty years. Facts and figures dissolve in a hazy, visual-verbal landscape.